IamFX is forex broker provider since 2009. The company is regulated by The Financial Services Commission (FSC). You can trade a lot of things with them such as forex, Gold, Silver, CFDs and other. They are the first broker which provide to their customers true STP/DMA execution on MT4 platform, raw interbank spreads and also free vps. They offer live chat support, skype support and email support to their clients. Their technology provider allows to their customers to trade in real-time with non-dealing desk model. They are experts and provide unique trading conditions to their clients with fast executions. They offer fully transparency, superior execution in the trading. The spreads are also very good, you can trade over 48 major currency pairs. They offer to their customers also lowest interbank spreads with the integration of global leading foreign exchange banks and ECNs, multiple trading instruments in only one account, safety of funds and automated risk management system! IamFX minimum deposit is $100, you can deposit with Skrill, Neteller, Visa, Wire transfer and other payments options. Your funds will be safe with them. The minimum lot size depends on which account type you will use. For example, if you use Micro or Standart account, the minimum lot size is 1000. The minimum contract is 0.01. 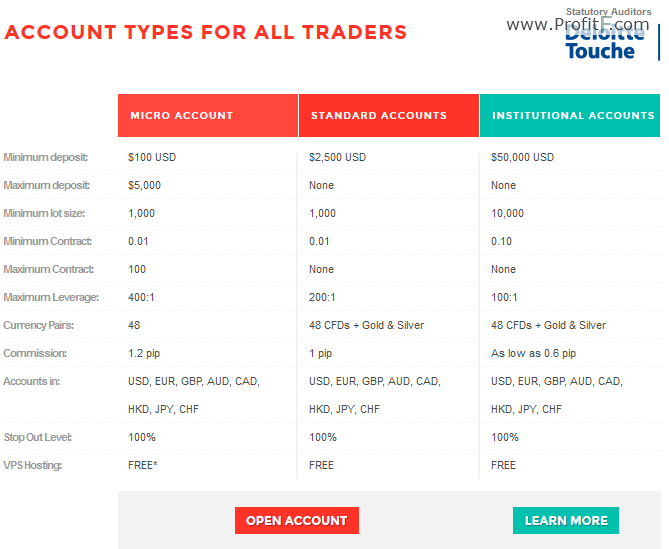 The leverage also depends on which account type you will use, but the maximum leverage is 1:400 with Micro account. With all of the plans you will receive free vps hosting service, 100% stop out level and over 48 currency pairs for trading. They do not accept US clients for this moment.